Midway through Episode 7 of The Vietnam War, Karl Marlantes, a Vietnam veteran in his early seventies, reads an extraordinary letter. He had written it a half century ago from Oxford, England, where he was beginning his studies as a Rhodes Scholar, to let his parents know that he had decided to give up his scholarship to go on active military duty. Before his freshman year at Yale, Marlantes had enlisted in Marine reserve officer training, but upon his graduation, the Corps had allowed him to defer his service until he completed his postgraduate studies at Oxford. Why did Marlantes cast aside one of the world’s most prestigious academic honors? Before explaining, he reminded his parents that he opposed the Vietnam War. “As you know,” he wrote, “I feel the U.S. is absolutely wrong to be in the war. . . . I guess I’m about to do a highly immoral thing. I will be taking part in one of the greatest crimes of our century.” Nevertheless, he believed he was “hiding” at Oxford and that his overriding obligation was to share the burden of fighting. Marlantes went on to become a highly decorated officer in Vietnam and, in 2010, he published a bestselling Vietnam War combat novel called Matterhorn. 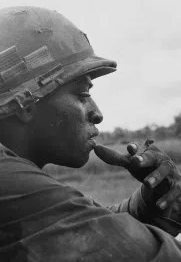 Soldier of the 25th Infantry Division, c., 1969. Courtesy of Charles O. Haughey. What do we make of these stories? I believe that they raise a profound moral question: should you fight in a war you regard as wrong? Unfortunately, the film forecloses further reflection on the matter. We may empathize with Marlantes’ and O’Brien’s conflicted feelings, but we are not challenged to think of their final decision as anything other than honorable, even heroic. Nor does the film direct sufficient critical attention to the policymakers who put young men in such moral jeopardy. That’s primarily because we are never introduced to people who chose a very different path: resistance. 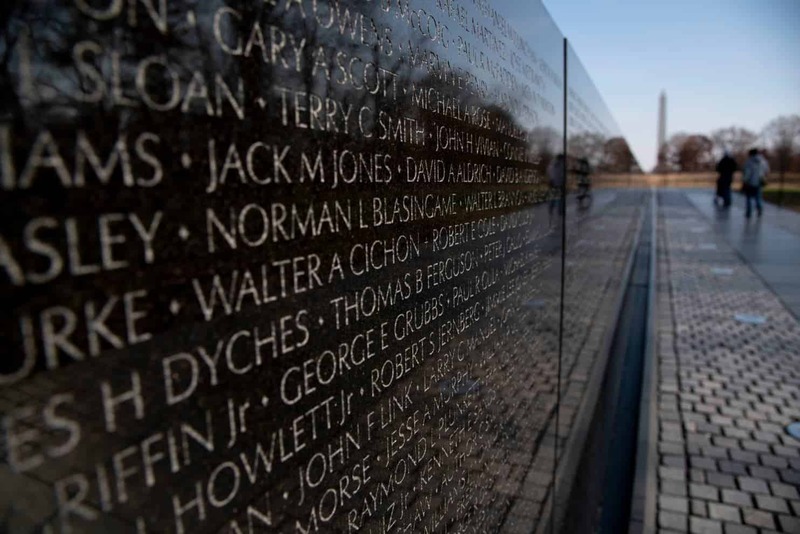 Nowhere in The Vietnam War do we hear from any of the thousands of young Americans who were willing to be locked up rather than to participate in a war they believed unjust. We never meet Randy Kehler, for example, who served two years in prison for his antiwar convictions and whose moral courage partly inspired military analyst Daniel Ellsberg to turn over 7,000 pages of secret government documents about the history of the Vietnam War—the so-called “Pentagon Papers.” (Nor do we hear from Ellsberg himself.) Had the film presented a passionate and persuasive civilian activist like Kehler, viewers might be less inclined to accept the verdict of a number of the film’s interviewees that the antiwar movement acted primarily out of self-interest rather than fervent commitment to ethical values. With Episode 8 Vietnam becomes Nixon’s war, the antiwar movement is in full flower, and the counter-culture announces itself most dramatically at Woodstock. Some historians may raise an eyebrow at the uncontested claim that Nixon began his presidency assuming that military victory in Vietnam was impossible and the implication that he and National Security Adviser Henry Kissinger immediately began looking for an American exit. Nonetheless, the film’s lengthy attention to ground combat makes clear that U.S. troops remained at great risk. The coverage of Hamburger Hill reinforces one of the documentary’s most common themes: the U.S. military repeatedly put its troops at risk by ordering them to seize positions that had no strategic significance. The goal was simply to make contact with the enemy, kill as many as possible, and move on in search of more. After a position was taken, often at a horrific cost in lives, it was invariably abandoned. Perhaps nothing so fueled the widespread feeling among GIs that the war was futile and meaningless than this pattern of bloody sacrifice followed by withdrawal. 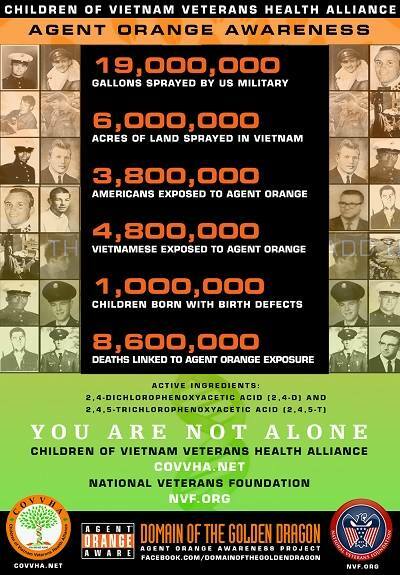 However, as often happens in The Vietnam War, another voice intervenes on an entirely different topic. 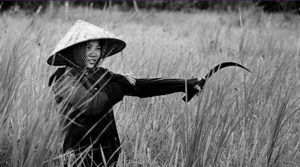 And so, in the midst of the My Lai sequence we hear from Bao Ninh, a veteran of the North Vietnamese Army and the author of The Sorrow of War, the best-known novel about the war from that side. While expressing empathy for U.S. soldiers, Bao Ninh makes clear that there were important distinctions between the two sides. He and his comrades were fighting in their own country “so there would be no more bombing” and had been doing so for many years in desperate conditions. “Even American soldiers were miserable . . . but they weren’t starving. We had to forage for food . . . [while]a regular American soldier carried enough food for a picnic, everything you’d want.” It’s a great point but not clearly related to what comes before or after. 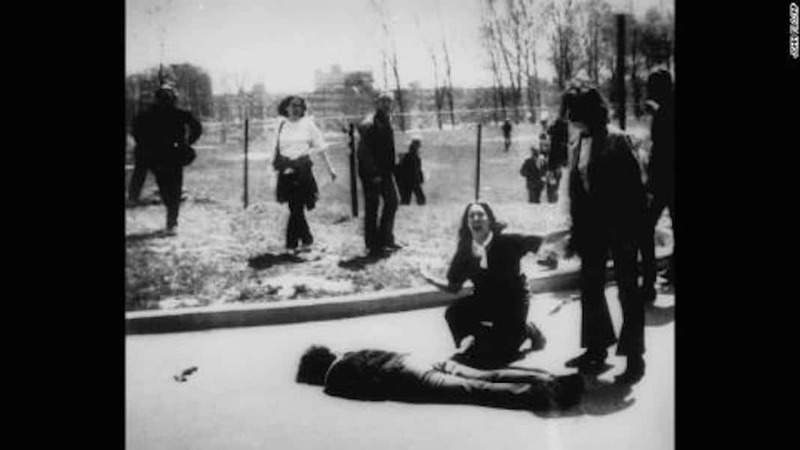 The final fifteen minutes of this episode are devoted to Nixon’s invasion of Cambodia and the storm of protest it awakened, particularly at Kent State University in Ohio where four students were shot and killed by National Guardsmen. 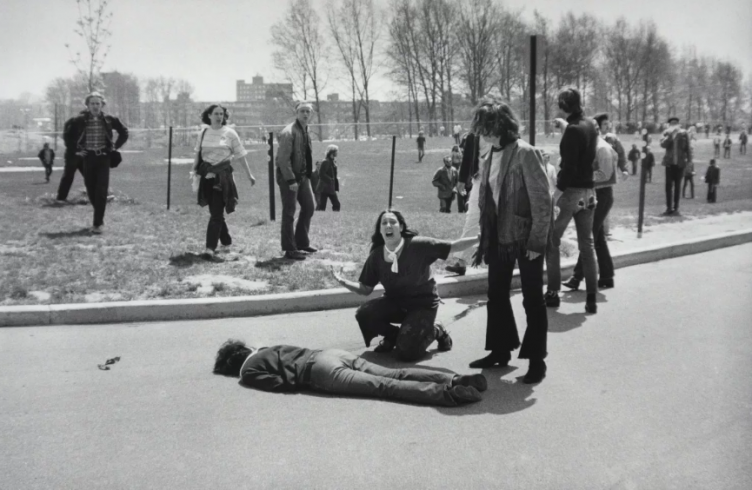 Predictably, we do not hear the memories of any of the students who were present there on May 4, 1970, but we do hear from three Vietnam veterans whose responses may surprise those who think all vets were disdainful of antiwar protesters. Tim O’Brien, John Musgrave, and Bill Ehrhart all report that they were so shocked and angered by the killings that they were moved to protest the war themselves. Unfortunately, we never hear expressions of empathy from civilian activists toward soldiers and veterans. 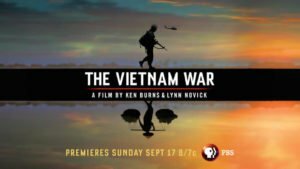 Had Burns and Novick interviewed Tom Grace—one of the nine wounded students—they would have discovered that he and his antiwar activist friends had great compassion for American troops in Vietnam and that their lives often intersected. Tom’s girlfriend lost a brother in Vietnam and less than one week before the shootings at Kent State, Tom attended the funeral of William Caldwell who had been killed near the Cambodian border and was the best childhood friend of another Kent State antiwar activist, Alan Canfora. 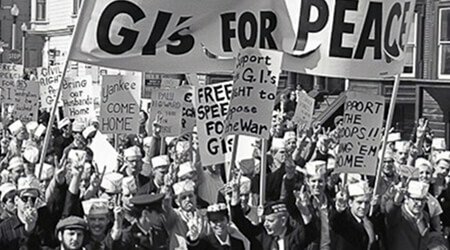 Nor does the film include one of the antiwar movement’s most compelling innovations—the establishment of coffeehouses near U.S. military bases to promote interactions between GIs and civilians. Those efforts, documented in David Parsons’ important new book, Dangerous Grounds: Antiwar Coffeehouses and Military Dissent in the Vietnam Era, produced some of the era’s most interesting alliances that have particular relevance today as the divide between civil and military life and culture grows ever more extreme. Lacking a full and fair treatment of the antiwar movement, The Vietnam War contributes to the myth that antiwar activists routinely denigrated American soldiers and veterans. Christian G. Appy is a professor of history at the University of Massachusetts. His final post, about Episodes 9 and 10, will appear following the latter’s East Coast broadcast on Thursday, September 28. He is the author of American Reckoning: The Vietnam War and Our National Identity (2015), Patriots: The Vietnam War Remembered from All Sides (2003), and Working-Class War: American Combat Soldiers and Vietnam (1993). He also serves as an OAH Distinguished Lecturer.